Inequality matters. Inequality is dangerous. And inequality is at a near all-time high. At its core, the Government’s recent budget not only engenders but actively exults in the creation and maintenance of inequality, a phenomenon rapidly expanding not just in Australia, but around the world. Generations of economists have promised that free markets and competition would bring an end to disparity in society. But the statistics are out. And the statistics don’t lie. 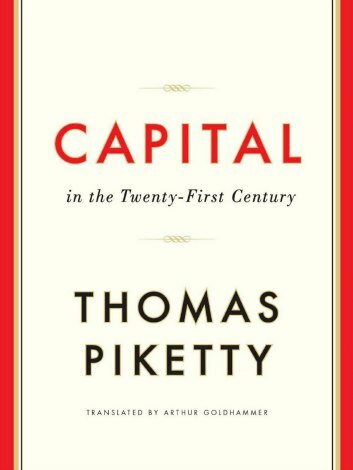 French economist Thomas Piketty’s 'Capital in the 21st Century' presents a comprehensive history of inequality and capitalism. Lamenting the never-ending arguments between economists regarding the effect of capitalism on inequality, where each side of the political spectrum merely asserted their views and pointed to the other side's lack of evidence as proof of their own views, Piketty presents a comprehensive, impartial and statistical view of income and wealth inequality over the last 150 years. His statistics demonstrate conclusively that the free, uninterrupted and unfettered operation of capitalism inevitably leads to widening inequality, as is occurring around the world and in Australia, even without the help of Hockey’s inequality budget. Piketty’s history shows inequality climaxed in 1913, at the end of a period of uninterrupted capitalism, before rapidly diminishing as the First World War, Great Depression, Second World War, and finally the Cold War effectively disrupted and prevented the free operation of capitalism. Post WWII, economists heralded the return to peaceful capitalism and a drop in inequality. But Piketty's stats show the exact opposite. Since 1960, global income and wealth inequality has steadily and consistently increased, climaxing in the present day at near 1913 levels. Capitalism and inequality, Piketty shows, perpetuates inequality, which under the hegemonic operation of free market economics, has grown to unconscionable proportions. However Piketty, as a mere statistician, stops short of attributing the series of global crises beginning in 1913, the highpoint of global inequality, to inequality. That bold link is made by Hannah Arendt, who in examining the origins of totalitarianism and the dark 20th century, cites explicitly the heightened inequality of income. Capitalism leads to inequality (that much is clear from the stats, that don't lie), which in turn inevitably leads to the problem of over-saving in the rich and superfluous capital. Yet superfluous capital cannot remain idle – due to the very rules of capital itself – and hence becomes a major destabilising force, as money pursues more money pursues more money. It was the destabilising force of inequality and superfluous capital in the early 20th century that led to imperialism, an attempted outlet of capitalism, and inevitable conflict over scarce resources triggering WWI and WWII vis Arendt. The 20th century was soaked in the blood of the innocent, resulting directly from inequality endemic to the modus operandi of capitalism. Yet inequality is not a problem of the past, and world leaders would do well to heed the lessons of history lest they be devoured by history, as inequality reaches near 1913-levels. The GFC, the greatest economic crisis of our generation, was caused by the age-old problem of superfluous capital; inequality created excessive savings in the rich, which sought further profit through risky sub-prime mortgage derivative products, that eventually unravelled, triggering a disastrous halt in our global system. But if the lessons of the past century are to be heeded, the GFC could be just the first dire warning of worse to come. So long as inequality is treated as a tolerable and necessary economic problem, rather than a social and moral problem, our leaders continue to lead us, like the Pied Piper of Hamelin, obediently over the cliff's edge, just as in 1913 (while we don’t look up from our iPhones!). But surely, many would reply, capitalism has delivered immeasurable prosperity and progress, and a luxurious quality of life? As the tide rises, all boats are eventually lifted, the popular argument goes. Yet this view is based on an unbalanced snapshot of global capitalism. Sure, capitalism and free trade may have brought prosperity to Australia, but this is at the direct expense of those labouring in the sweatshops of the developing world, and the starving children of the parents who grow our coffee in the African sub-Sahara. That is why 'boat people' unsettle Australians on such an existential level. They give us a brief glimpse of the global economy, of the widespread institutional inequality and of the suffering and poverty just beyond our fortified borders. They are indeed 'economic refugees' fleeing from our global hegemony that brings nothing but poverty, conflict and ruin. That is why a usually humane population is prepared to have desperate human beings shipped off to prison camps on faraway islands, out of sight, out of mind, because they remind us that our incredible privilege in Australia comes at such a heavy cost, a cost no man or woman should be willing to pay. You see, it's not capitalism and liberal democracy that I don't accept, Alyosha, only I must most (dis)respectfully return my ticket. Is not the cost of salvation too high? How can one live on our edifice of unrevenged tears, of starving sick children. Surely my humanity, my Christianity, or my secular humanism tells me that I must reject an economic system in which I eat three meals a day, while next door, a neglected child dies of starvation? How then does one square the limitless opulence of parts of Australia with a world in which 3.1 million children die each year due to poor nutrition, according to the World Food Program? Even in wealthy Australia inequality exists, in Indigenous Australia, in the working poor, and the underclass of impoverished unemployed that the budget enshrines. A recent Oxfam Report showed that the richest 1 per cent of Australian’s own the same amount of wealth as the bottom per cent, a rate of inequality below the OECD average. The ironic contradiction of the budget's Christian-capitalist led attack on the poor and marginalised has not been lost on many. A generation of Christian leaders appear to have lost their moral compasses, engaging in a deification of money-making, and a reduction of the human person to nothing more than an economic asset; those that can’t ‘earn or learn’ are liabilities to be exploited, marginalised or abandoned. How else but by a complete moral deficiency can one explain the brutal attack on foreign aid in the budget, cloaked in the pathetic excuse that 'we can’t give away borrowed money' (only one country in the world has no debt, meaning under Hockey’s normative conception of foreign affairs, no one but Norway gives to the starving)? How else but with a Faustian pact with the god of capital could one explain the attacks on pensioners, disability support recipients, the unemployed, and the sick, while negative gearing, mining super profits and the big banks are left untouched? The poor scream and suffer, while Pilate washes his hands and laughs. Sure, the rich can only enter the Kingdom of Heaven on a loaded camel through the eye of the needle, but who needs the Kingdom of Heaven when money reigns as deity supreme? Inequality remains the greatest danger of our century, both in Australia and overseas. Again according to Oxfam, as of June 2014, sixty-six 'devils' control the same amount of wealth as three and a half billion people, half the world’s population. Such staggering global inequality is not only morally unjustifiable, it is unsustainable. An estimated 1.3 billion people living below the poverty line cannot, must not, be allowed to continue. But what is the alternative? Revolt? Revolution? Democracy? I have neither the time nor economic expertise to delve into the need and means to effectively tax wealth and the trillions in tax havens and offshore accounts, and to open up economic and political opportunity to the marginalised. Instead, I hope to highlight that somewhere we have gone dramatically wrong, and created a world that on the dawn of the 21st century is inherently immoral. A world in which a sixth of the population subsists on less than $1.25 per day, in which over 3 billion manage on only $2 per day. Forty-five years ago we put a man on the moon yet today 1.5 billion people do not have access to clean drinking water. It is only when the economic inequality at the core of our social organisation is recognised as a moral problem that we can properly eliminate extreme inequality, and all the dangers it brings. Yes, there is hardly a straightforward solution, and the gods of money and power stand directly in its way, but the alternative is dire. If inequality is allowed to continue its meteoric rise, against the backdrop of the desperate voices of pensioners, students, and the unemployed rising in lament, the GFC and the inequality budget may only be the pre-tremors in a devastating earthquake precipitated by our inequality. Exactly a hundred years on from when greed, wealth and inequality plunged the world into thirty years of catastrophic conflict, disregard history at your peril. Harry Maher is a second year Arts/Law student at Sydney University. His interests include politics, liberation theology and Russian literature. This essay is the second prize winner in the 2014 Margaret Dooley Award for Young Writers. A challenging read! Thank you. Well written. Congratulations on the award. Well deserved! One small slip Harry in para 9 - there is no percentage stated in the comparison. But that aside, your reasoning is valid. I believe there are many who support your motivation and intent. But as in all things, the issue is the question, what do we do about it? The one per cent both control & influence those who foist these commissions of evil on all of us ( see Machiavelli) and most are not about to relinquish that self-interest. You over-reach , dear Harry. Capitalism is the best way ever known to bring the poor out of poverty. Without doubt. But it also undoubtedly has the inbuilt strong tendency to accumulate wealth in the most successful families...because of the compounding effects of inheritance and educational and social advantages that wealth buys the next generations ...and on it goes. The answer is effective redistributive taxation, including death duties and on property.That is not easy to do politically because wealth also buys powerful lobbyists (and polices!) etc. But we all have the vote! It is possibly not so much the “system” of capitalism itself that causes gross inequality, but rather the moral shortcomings of those who find themselves in positions of power and influence within capitalist or other economic systems (communism, socialism or fiefdoms). Inequality and exploitation seem to flow from the failings of people to live and act by standards of fair and equitable moral belief and behaviour. There are plenty of examples of “what is right” in most religions – and in rationalist secular or humanist philosophies. It is just so dispiriting to see people – and particularly leaders of society – cloak themselves in the trappings of a morally “respectable” religion or other philosophy – and then act so contraryily to the core values of that philosophy. Take the proposal to cut foreign aid on the basis that we should not be giving away “borrowed” money. This is driven by mean, immoral core values – under the guise of pragmatic economic realism. As Mr Maher points out in his Eureka article, all countries bar Norway have national debt – and yet most of the “richer” nations (including Norway) provide extensive aid to poorer or disaster-struck people. Indeed, many householders have a home mortgage, but still manage to donate money and time to charities and other causes working for the broader benefit of the community. A small proportion of foreign “aid” from governments, individuals or charitable organisations is sometimes provided as small capital loans to enterprising poor people to enable them to commence businesses and work towards sustainably supporting their families and improving economic conditions in poor communities – “capitalism” at a most basic and morally-defensible level. As an aside, Norway has maintained state-owned enterprises in key areas, has relatively high taxes on the operations of oil and mining companies and other profitable industries and is progressive in terms of its government-led social support systems. The OECD’s Better Life Index is worth a read http://www.oecdbetterlifeindex.org/countries/norway/ While undeniably rich in natural resources (remind you of somewhere else? ), Norway’s high standard of living and enviable wealth and social equality is perhaps driven a well-balanced mixed economy – but there must be moral and fair-minded core values somewhere at work as well. This narrative is thoroughly undermined by the 2011 leftist Brookings Institute Report that showed world poverty fell by half a billion between 2005 and 2010. The report says "Whereas it took 25 years to reduce poverty by half a billion people up to 2005, the same feat was likely achieved in the six years between then and now. Poverty reduction of this magnitude is UNPARALLELED IN HISTORY." This was achieved without any increases in foreign aid. It occurred substantially in "sweatshop" locales such as India and China ie, developing countries most exposed to the global market. But countries most cut off from that supposedly evil global capitalism - North Korea, Cuba, etc, remain mired in grinding poverty. Far from creating poverty, capitalism and free trade are lifting billions out of poverty at unprecedented rates. If leftists can't resist complaining about the empty part of the glass, could they at least acknowledge, with Brookings, that it is rapidly shrinking? For a trenchant critique of the many errors in Piketty, google George Reisman - "Piketty’s Capital: Wrong Theory/Destructive Program". Well said Harry. Inequality does indeed matter and when it reaches the extremes that it now has it is dangerous. The poor are desperate and the rich are not safe. 'Statistics don't lie'. Sorry Harry. Any good scientist will tell you that they frequently do and do not necessarily have universal application. There are many attendant fallacies associated with statistical analysis. Congratulations, Harry, for your passion, humanity and grasp of the danger inherent in this situation. Well said, Harry. The idea that the commonweal is best served by the collective effect of individual greed is as ridiculous as the the idea that individuals develop best when cocooned from the womb to the tomb. Life is complex and complicated; simplistic dogmas, whether of the left, right, or centre, are as dangerous as they are useless, especially when they concentrate power in a handful of self-replicating wealthy individuals. I think Eugene's right. My reading of Picketty is that it is 'Rents' that are the culprit. Rent means, I think, money chasing money, as Harry says it's what caused the GFC. When inherited wealth is used speculatively capitalism itself is undone and the so called trickle down effect is smashed. Watching last night’s first episode of ‘The War that Changed Us’ the Workers of the World campaign depicted WW1 as being caused by rampant capitalism. While this is true what Picketty demonstrates is that indeed it was WW 1 and 2 that put the rise of rampant capitalism on hold. But it’s off again and running wild. Unfortunately even Picketty does not have a simple recipe to halt the growth in inequality. A controversial, confronting and excellent read. Thank you for sharing Harry. Harry’s impassioned plea for a more just and equitable world cannot be ignored. But how? First, in developing countries, where the bulk of people are still peasants, sweeping land reforms would do much to alleviate poverty. Having their own freehold land would boost peasants’ income once they were freed from rapacious landlords. But land reform has often been effectively sabotaged by land-owners. Grass-roots campaigns to politically mobilize the peasantry are needed to better fight for land reform. The alternative is armed revolution and endless carnage etc. Second, a massive extension of Gameen Bank-type schemes that provide small loans for the poor, mainly women, would also cut poverty. But what of developed countries? Taxing the wealthy, as Picketty proposes, is commendable but often sabotaged by their ability to avoid tax though clever accountants and lawyers. Re-strengthening unions (by eradicating their corruption and cronyism) could be part of the answer. Their decline over the last 30 years has coincided with increased income inequality. Stronger unions would reverse this trend by getting wages raised. Also, alleviating cost pressures on small businesses by such means as reducing extortionate shopping centre rentals, would make them more profitable and better able to pay their employees more. By such mundane measures a more equitable society may emerge.